Can I get an Amen break? Photo (CC-BY) MyBiggestFan. Before there was computer code, there was music notation. And before there was forking code or remixing music, there were centuries of variations to the musical code, stored in notation. So it’s fitting that musicians would begin to use GitHub – built originally as a repository for programmers – to store notation. And that means that in addition to music software and the like, you can find the WWII-era Nova Organi Harmonia organ accompaniments today on GitHub. Adam Wood, Director of Music with St. Stephen’s Episcopal Church in Hurst, Texas, made the addition, with help from a team including Jeff Ostrowski. 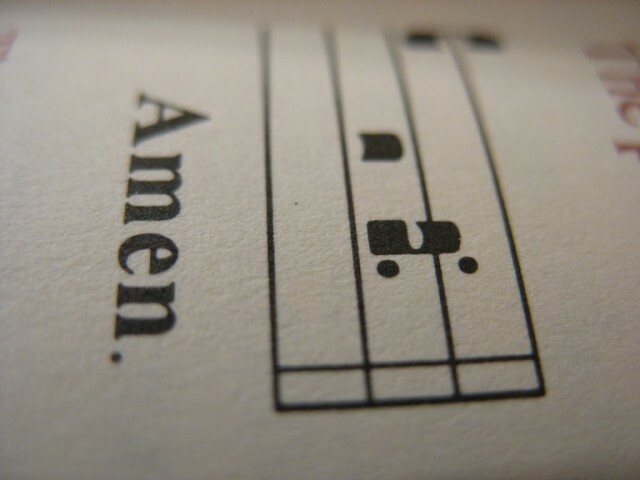 The GitHub repository is hosted by the Church Music Association of America. For musicologists and composers alike, Git seems a perfect fit. It makes it easy to track the contributions of any number of people, to file and manage variations, and to keep track of revisions over time. Indeed, even for an individual musical user, Git could be a useful way to backup materials, access them online, and keep track of revisions – even before you get into the utility of collaboration. I’d love to see what others might do with this. After a recent computer crash during a sound check, I’m now keeping my open source tools and materials for live performance on GitHub – more on that migration soon – and using the cloud for proprietary stuff, too. What tools do you use online? And are you using GitHub (or other similar repository tools) for music? Let us know in comments. Oh, and do let us know if you come up with a creative use for this repository, too.